Florin Barbu is a Romanian man who commenced a hunger strike in France in front of the European Court of Human Rights because the English CPS has confiscated his Romanian-citizen children and given them into foster care and upcoming adoption to a homosexual couple. He has not seen his children in over a year, and after representing himself in court, he lost his appeal so far. He is desperate right now, and in the absence of funds to hire a law firm to fight on his behalf, a hunger strike seems like his only option. He has previously said he willing to die for this cause. This is a very serious issue because he is determined to follow through. HOW EFFECTIVE IS A HUNGER STRIKE AT ACHIEVING IT’S SCOPE? Historically, hunger strikes have had some success because they attract public attention to a cause, but their success is dependent on how well they are publicized and how well the campaign on their behalf is coordinated. Florin Barbu has approximately 21 days to achieve his scope of getting media and government attention to pressure the CPS in London to return his children. In the first 2-3 days of fasting, the body uses glycogen stores in the liver for energy. In the following 3 weeks or so the body undergoes ketosis which consumes the fat stores in order to survive. After that period a dangerous phase begins where muscle, bone and organs break down to feed the brain and heart. The subject can become very weak and will have to be stationary at the site of protest unless others will transport and care for him. Cold weather will have an absolutely devastating effect and lead to early death in the strike. Florin Barbu does not have the kind of time that the Bodnariu family has in publicizing their case. It took a few months for the Bodnariu case to hit mainstream media despite large-scale protests. Mr Barbu has 21 days. We are hopeful that the Romanian government will come to his aid very, very soon. As the strike progresses the media must pick it up and publicize it, or else the story will make the news when it will be too late. thank you for sharing. The Lord may give wisdom and strength to Florin. Let us write to all politicians in both the UK and Rumania and to the Queen and Princes of the UK. Justice be done! Greets from Belgium. What was Florian’s part in the situation he is in now? This is a legat situation and if he don’t have any possibility to .. pay .. they have to pay themselves in such a situation in England? ..and the hunger strike will?? … get the attention of a rich lady?? .. a human rights organization with links or money?? ,.. the media will not help him directly, but maybe tell his story .. and will the story help him? I know from Norway that hunger strike was the underliner for the social services to move the attention from why the person was doing this to he is ill and needs psychiatric help. In a CPS context this might be rewritten to: the man is desperate and a danger to himself – almost a suicidal context – and if that suits the history leading up to the taken care for the CPS has got the underliner that it’s dangerous for his?? ( no mother??) children. I think it will be a better idea to get help from the Steven Bennett network, some of the European diplomates that are engaged in ongoing cases or some Romanian politicians or diplomates. Hunger strike is an offensive and desperate move that may be used against him. Thank you Knut. You can be a good help too. Of course hunger strike will be used against him. Anything a person does in unhappiness and despair because the CPS wrecks their life is interpreted by the CPS as psychiatric illness. The “help” given consists of further harassment, “analysis”, “therapy” and the like – often incarceration in mental hospitals. The CPS always preaches that a parent should “understand that it is best for the child not to have any contact with its parents”. It is a very good thing that the situation in Britain regarding CPS comes up. Over the last few years they seem to have become perhaps worse than the Nordic countries. It seems the best thing there could be that he is demonstrating in front of the ECtHR (that is in Strasbourg, in north-east France). It is about time that court got down much more heavily on states offending against the rights to family life. There had been strong complaints that many children taken by the CPS – allegedly to a better life – were “stuck” in foster care for years, in unsatisfactory circumstances. So parliament and government decided the way to fix it was they should be speedily adopted away instead, that the CPS should not “keep” them longer than necessary. No question at all was directed towards ascertaining whether CPS “evaluations” were reliable or whether their removal of children from their homes had been justified or even honest. No adequate evaluations were done about how such adoptions went either – it seems to be an almost world-wide illusion that adoption solves every problem and then it is all one joyous feast forever after. The result was, just like in other countries doing that kind of thing, that the CPS received an added push to take more children! The last several years a large number of families and single mothers have been deprived of their children without anything like adequate reason. The children are taken quickly, right after birth in many cases. Another widespread illusion is that once a child is adopted away, then it will never be in the child’s best interest for the adoption to be dissolved and the child given back. That is not so, but I’d rather take up the evidence some other time. By the way: Boateng was in the Labour government, but you should not let yourselves be fooled into thinking that the present day conservative one is any better. For some reason, just like in Norway, they are equally blind and just as bad regarding this issue. I have mentioned before senior writer for The Telegraph Christopher Booker’s many illuminating articles about the CPS’s transgressions in Britain. Others too have written about it, but he is perhaps the clearest and most seriously committed. That made me think of Austrian CPS cases I had been reading about previously, especially the Strasbourg case of Moser. That was from 2006. But there have been others, including one reported in the Daily Mail. It is important that cases in different countries are seen together. The scourge must be got rid of everywhere, it is everywhere the same basic trouble, although it may somewhat accidentally “flourish” at different times in different places. For Eugene in London, certainly it would be a good thing if someone could get hold of the Telegraph or the Mail to do an article. For Florin, in front of the ECtHR, maybe someone could help him on the spot with a poster referring to several of the Court’s own cases, held up right there. It is also possible to obtain information from the Court administration about how many complaints relating to CPS cases (primarily Article 8) there have been over the last few years against Britain. After loosing his kids, he doesn’t have anything else to lose . The love of a father for his family. Doesn’t happen in so called westernized countries. Cold hearts, cannot understand love. For them ultimate love is craziness. Romanians keep your children home in Romania. A lots of degenerated countries want your children. Let them have their own children if they can. Their needs for children can be fulfilled in the lab. From what I know man+man or woman +woman doesn’t create, only destroy. What a sick world we live. I think Marianne’s assessment is the best assessment here. If there were 1000 people at this hunger strike, maybe some serious discussion would begin to be made by U.K. officials. I hope I’m wrong, but I see no good thing coming from this hunger strike. The man will only weaken himself and if he dies, the real father of his children will never be around to greet them someday. I understand that this man is willing to die for his children. Harder yet is to live for them in the hopes that someday he will see his children. I’ve read about so many cases where young people want to know who their real parents were after adoption. I think If I were this man I would use my time to continually pester and complain to law inforcement or anyone else involved in this case that there is a good chance my children were being abused by the adopted parents. All one has to do is use statistics to make this point. This is a hard one. There is no easy answer. By the way, you do not have to be a licenced British or Romanian lawyer to take Florin’s case before the Court of Human Rights. You do not have to be a lawyer at all, although mostly people make use of a lawyer when they get so far, although there are many who do all the casework before the actual meeting in the Court themselves. And there IS such a thing as an emergency procedure before the Court, although I don’t know if they accept a voluntary hunger strike even leading towards death as such an emergency. Is Florin getting any help from Romania? Hmmm .. there is lot of real information on his facebook .. like this..
Everyone should scroll through this man’s picture gallery on Facebook. My eyes aren’t so good anymore, Knut. Is someone saying that the hunger striker had suffered emotional abuse and neglect when he was a child? As far as I understand, it is a forwarded letter which doesn’t say anything about the hunger striker but rather about someone who is taken into consideration as foster parents I guess, and is not quite meeting the requirements. I might be wrong. It is sad to read another story about a family that has been split by the CPS, this time in England. I’ve heard that there have come pretty bad things out of the CPS there too. I can understand the father Florin that he must be desperate as any parent who loves their children would be. But I hope he stops the hungerstrike and finds other ways to get his children back. After looking at the facebook site again, I was probably wrong anyway. Racolta seems to be the surname of the family. In that case it seems that the CPS are using the father’s past of being neglected as a child to mean that he is not capable of taking care of his children’s needs. They state that he is a highly emotional and vulnerable man, as though that should be something undesireable….. This is really cruel, taking away children because of a parents difficult past and vulnerability. If the CPS continues this praxis, the generations coming after will also have their children taken away by CPS based on their difficult past. The CPS should rather seek to help families instead of destroying , not only one family but a whole chain of generations! I watched the video you had, Chris, on your blog about the heartbreaking CPS cases in England. I cannot see how all these lovely parents can have their children taken away from them by the CPS. Both in Eugene, the loving very talented father and all the others I see so much precious they have for their children. One couple was especially touching where the mother had minor disabilities but was so lovingly supported by her partner and father of their children.Their children were crying and missing their parents so much. I suddenly came across several videos about forced adoption in England which has increased extremely much the last couple of years. Something is way wrong with the CPS in England, as it is also in Norway! Children are taken away based on “opinion” of what “might” happen some time in the future instead of evidence. Anyone, who have accidentally got into an unlucky situation,in which the CPS can start playing around with, are in danger of having their children forcefully taking away. It is about time people wake up to theses realities and do something to stop this crime! What are you trying to indicate, Knut? We don’t read Romenian, Hildegunn, which is most of the facebook information given by Florin, but in between he has put in some of the documents that give us English readers a possible Insight in the fathers situation. I stopped here – with this document that give full insight in considerations done and the situation he is in – the mothers situation and they as parent – before that I read about the visitation given which is on a level like given by the County Board in Norway. I think the facebook for those who scroll further will give the reader insight in legal situation where the race is over – this case seems over and done with and then we are over in another situation – how to manage to live further in a best possible way. Reading the reports from the visitation show that the children have feelings for their father and the question seems to be only about adoption or not – the children home you most likely will find impossible. Please use something like Google translate or Chrome browser’s automatic translation. I use it all the time because understanding English and a few other languages is fine, but languages like Russian or Asian languages are difficult to even read, having different symbols. 21 days. We have to help this man within 21 days. That is 7 x3 isn´t it. We have a little less the 3 weeks to do something ugh, to lift this mans expression of despair, into something that benefits him, his child(ten) and the whole issue of CPS and Barnevern all over. I am in Holland, If I was a little closer to where he is, I would go and try to talk to him, if he would like to. But, I have no money to take a plane or train to where he is. It can´t bee too far from where I am in the North of Holland, just to give him enough support to not let the devaluating of him, which England CPS and court system will of course try to do, as you all say above. When is the 21 days date ? Maybe I can help your concerns a bit. You are an inspiration to me here. What noble concerns you have. It is almost certain that U.K. officials will not let this man die in the street. As he looks in very good health at the moment, when he eventually begins to black out or faint, unless he has a condition (heart for example) that is unknown to us, he will not die because he authorities will be forced to give him care. They know if they let him die in the street, the world will hear of their cruelty. Yes, he chose the hunger strike wrongly, I think. It will only weaken him when he attempts his next hunger strike. I’m pretty sure the U.K. doesn’t want huge demonstrations on its hands because they allowed a loving father to die in the streets. The know they would be demonized and they certainly don’t want attention drawn to their S.S. system. Chris – if you scroll down his facebook you will find that Florin used the same Hunger strike t-shirt in March – I don’t think this is as serious as he give impression of – it’s the possibility for attention that seems to be the goal. It may be, Knut. The man will use almost anything except violence to try and get a fair hearing. Gotta respect that. Chris and Arianne: Florian intends to demontrate in front of the European Court of Human Rights. That is in Strasbourg, France. Eugene intends to demonstrate in London. Which hunger-strike demonstration are you thinking of re the 21 days? She is thinking of Florian as Delight gave the medical scenario of the effects of any hunger strike. Thanks for asking, Marianne. I don’t think Arianne even knows about Eugene. To me the report is very vague. What does it mean..the parents do not meet the children’s needs? That can be about anything. It does not have to be objective at all. The question is, why were the children taken in first place, I can not find it in this report? I wonder how all of the other generations have survived until now without being protected from any “harm”. I would also like to know whether the current generation that is supposed to have “the best raising methods” is so much better than the generations before. Seriously, how on earth can these children be adopted if the family is interested? This should not be allowed at all. You have put your finger on a central point, Pavla. Let me just say that such unspecific vagueness is found in very many cases. That the population accepts such nonsense as “reasons” for one of the most serious actions possible: depriving children of their parents, really makes us all guilty. How could we have let it develop like this? I stopped with this report – if you scroll further down you most likely find more copies of real documents that will enlighten you. To me it seems that Christians started confusing love and tolerance. Tolerance is good to some extent, but when it destroys people’s lives, love must be stronger. People should love life itself, not “living their lives”. You would never take away a puppy because his mother bit him. Animals teach their children how to behave, sometimes this means using small amounts of violence. This doesn’t mean that people should abuse their children, we are not animals, but we must make a distinction between problems, corrections and abuse. We must always consider what the children have to say. Do they want to be taken away ? Do they want to be forbidden from ever meeting their biological parents ? Wouldn’t it be much better if the state would protect the families, not just pretending to protect children with forceful adoptions ? Stop the state abuse, it’s sometimes worse than a drunk parent coming home late every day. Offer financial and psychological support for families. Help the parents raise their children in a happy, healthy family. It is extremely sad that the understanding of biblical fasting is not understood even by most Christians! This father does not and even Gondi didn’t understand that fasting unto our Heavenly Father in secret by the power of the Holy Spirit is what brings the miraculous power and glory of God beyond measure on the scene! Jesus Christ said in Matthew 6:17..when you fast, anoint your head, and wash your face 18. That you appear NOT unto men to fast, but unto your Heavenly Father which is in secret; and your Heavenly Father, which sees in secret, shall reward you openly! I have to give my Heavenly Father God and my Lord Jesus the ultimate praise for the return of my children against all odds in January of 1997 after much fasting by my mother, best friend and myself! I pray for the goodness and mercy of God to be bestowed on this dear father and that he is reunited with his precious children in the name of Almighty Jesus Christ! I think you have made an important Biblical distinction here, Crystal. Thank you and yes, we will pray for this father even if there is disagreement with his methods. Not all have the same level of religious understanding, even if they are part of a Church and/or frequently go to one. Being a good human and christian doesn’t have anything to do with the one you are helping. Please remember that The Good Samaritan was an outcast, a heretic, from a religious point of view, not part of mainstream Judaism. Religious understanding and correct practice is important, but God is more interested in a sincere heart. I truly believe that this man is doing the right thing, desperation has lead many to find God and start living a new life. 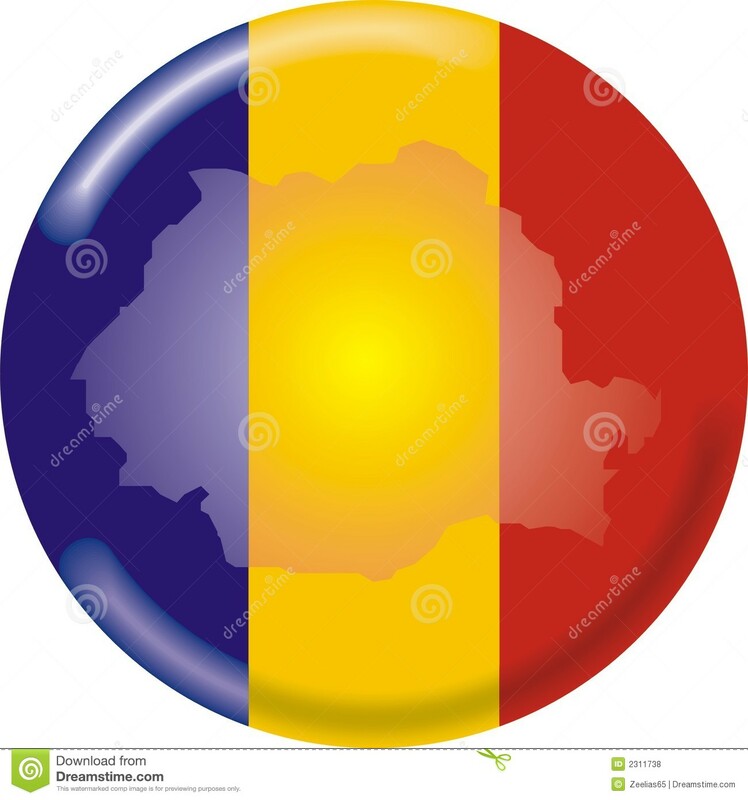 Romania is a religious country, but it’s a non-dogmatic religiousness, mixed with many pagan superstitions and relaxed attitude towards dogmatic understanding. Many Romanians do understand the Christian love, the bond with their children can go to extremes since they are not tied to materialism. You can take anything from a Romanian, they are used to it, always at the influence of the great empires, but never take their children, they have nothing more precious. You will even hear priests “threatening” God not to test their faith by allowing their children to be taken away. Andy Barbu, thanks for posting that picture. You have a wonderful father who is fighting for you!! Right, I will make sure the case is mentioned at the demonstration in Oslo also! I’ll maybe try to make a suitable handout of the article(s). It is difficult to watch the first several minutes of this video. I was trying to recall a name of anyone during my life that I remembered who made a huge difference by staging a hunger strike. It is true that I haven’t got the best memory and I don’t know all history, try as I can, I can’t think of one name of anyone. I don’t understand how it was possible for people to become so cold. How can the heart of so many people become stone ? When did we lose our love and common sense ? It’s already known that even children that are raised by grandparents can suffer trauma and confusion, because they weren’t with their own parents in the first years of their life. Children should be raised by biological parents, especially their mother must be there at all times, at least until they are teenagers. If the state or a nanny will raise our children, humanity will self-destruct. There are few things which are more evil and brutal than child abduction for forced adoptions. During the Turkish-Ottoman times, many countries were forced to give away their children to become soldiers in the Turkish/Ottoman army and convert to Islam. It seems that those times are back again, only this time, the former Christians, now atheists are doing the kidnapping and the Islamic armies are a punishment and a wake-up call for the confused countries that lost their faith, love, hope and humanity. The cultural-marxist war is strong even in Romania, I don’t know if people still have the energy and motivation to fight against this kind of death-culture propaganda. “I don’t understand how it was possible for people to become so cold. There is no easy answer to this Andrei. One might say that it all began in the garden with Adam and Eve. However, your questions imply that you knew of better times yourself, that you have experienced much better times in your lifetime. If looked upon like this, there is a best answer I think. It is because peoples (nations) who once made God’s Word very important have left it to sit on a shelf. It is looked at with fondness at times (or distained) but it is not opened like it used to be, AND READ. I think this is your answer. THE TRUTH has to prevail and this injustice must be corrected! God be with children all the time and everywhere! I will pray for children to be well. How do I get in touch with this man…I may be able to help.